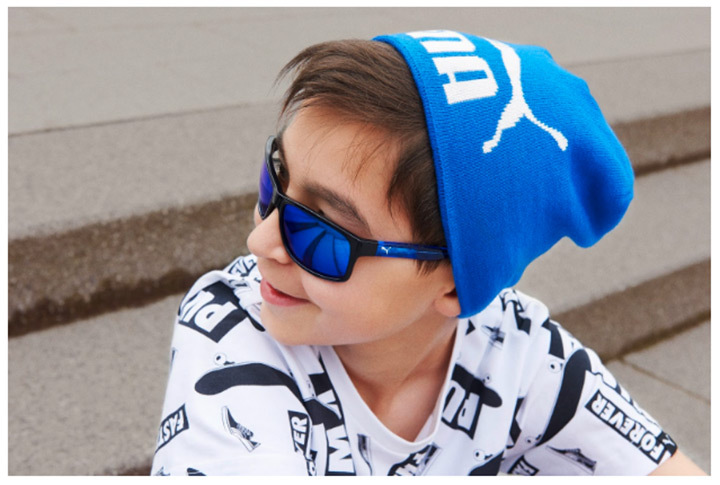 Introduced last season, the Puma Junior collection features iconic sunglasses and optical frames dedicated to children aged between 8–12. 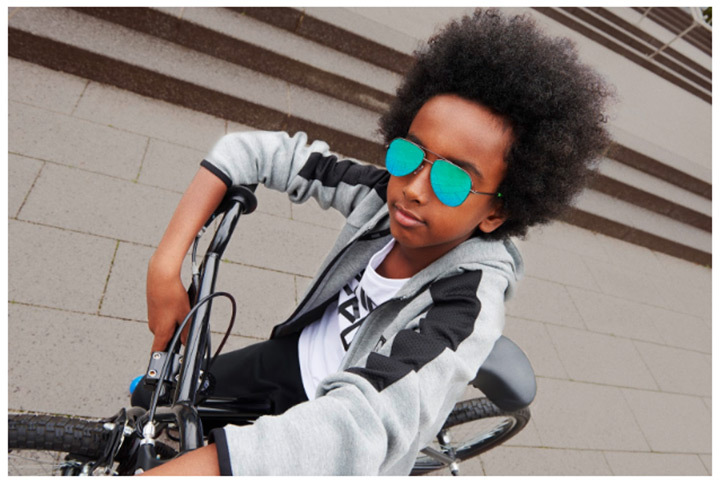 All the styles are infused with the brand’s versatility, colourful allure and high-tech performing characteristics. 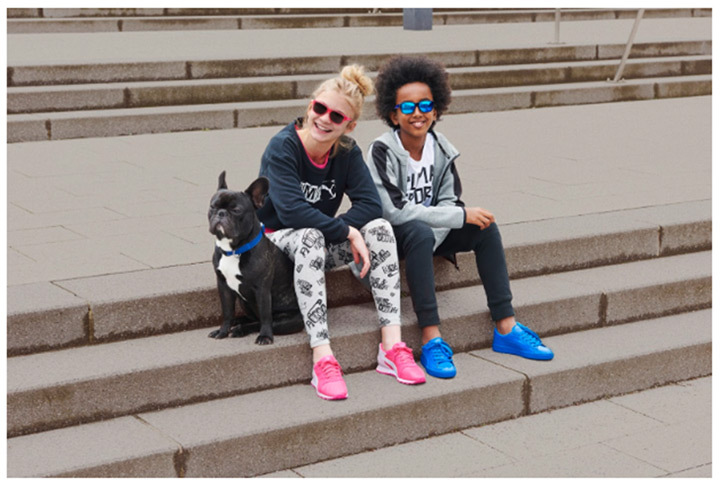 From classic rectangular acetate frames to ruthenium aviator styles, they are served up in eye-catching colors such as royal blue, sunset orange, purple and fuchsia. 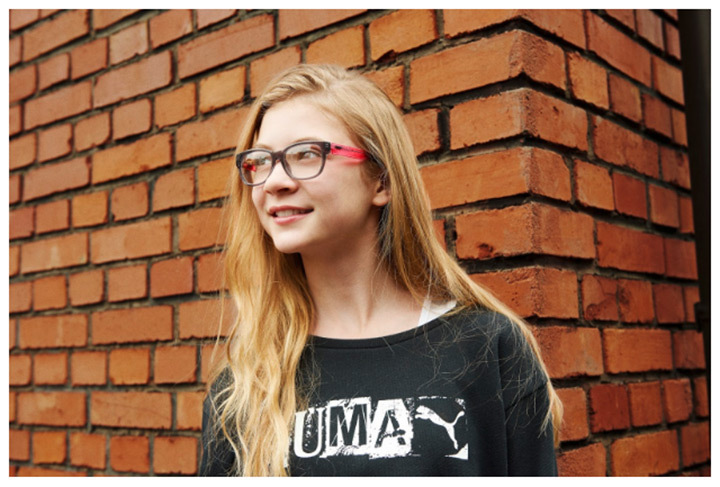 Completing each pair is the cat logo, flash mirror lenses and adjustable nose pads. 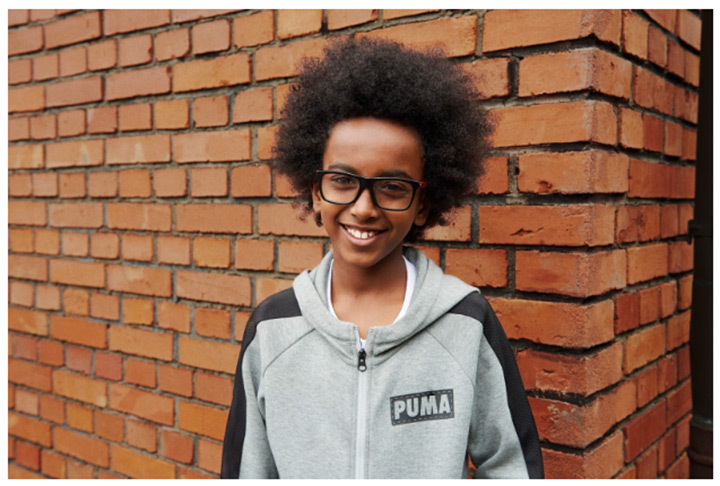 See some of the cute campaign photos below! 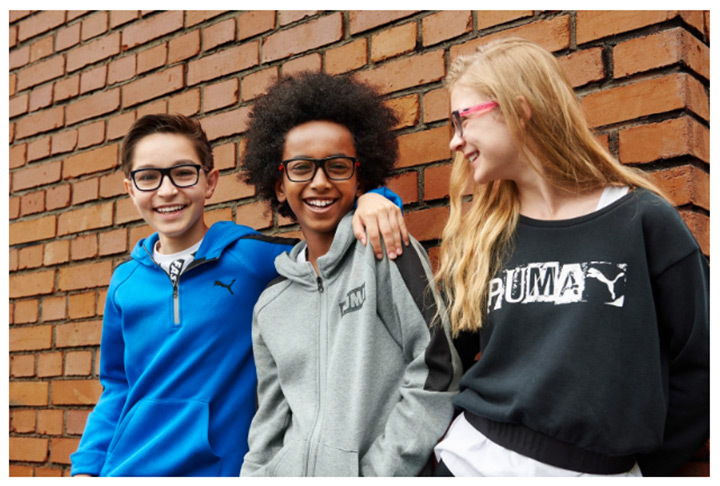 See the full collection at http://jp.puma.com/.